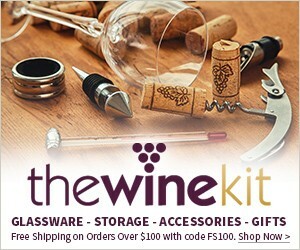 Shop a fantastic selection of smart wine accessories and glassware at The Wine Kit. We are passionate about all things vino. From gifts for wine lovers and unique wine glasses to our travel wine kit selections, we know you’ll find something spectacular at The Wine Kit. If you need help finding the items you’re looking for, call us at (844) 311-6045. Browse the world’s best value wines on Wine-Searcher.com! Let me sit down to dinner with a modest Chianti, say, or a fresh young Côtes du Rhône, and I’m likely to be happy with a wine that complements what’s on my plate without either warring with its flavors or overwhelming them. Every now and then, though – and today is one of those times – I remember that the steep vineyards of Portugal’s Duoro Valley provide another rich source of the kind of reds that I like. Of course it is! 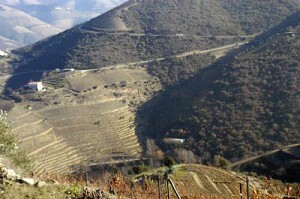 The steep, beautiful vineyard terraces of the Duoro (“Doh-ro”) River valley grow the sturdy, robust red grapes – Touriga Nacional (Port’s premier grape), Tinta Roriz (the fruit that the Spanish call Tempranillo), and more – that go into the blend of Port, that beloved rich, sweet and powerful red dessert wine that’s fortified with brandy to make it strong and lasting, capable of keeping for decades in fine vintages. But the Duoro Valley in Portugal turns out some dry, unfortified reds, too, just as it does upstream in Spain, where it’s called the Duero, best known for the Tempranillo-based reds in the Ribera del Duero region. Portugal’s Duoro reds may not enjoy a fraction of the notoriety of Port, they’re often fine table wines, the kind of balanced, interesting reds that I seek out, at prices that make a convincing argument for buying them more often. If you can find them. Curiously, although the Port tradition goes back to the 17th century, and wine making in the Douro goes back more than 2,200 years to the first Roman occupation, dry Douro table wines have been produced commercially only since after World War II, when a few pioneers – Ferreira’s iconic Barca Velha and Quinta do Cotto’s very rare Grand Escolha among them – began devoting vineyard space and winery time to making these dry wines in addition to their Ports. It is only in the past 25 to 30 years, though, that the Douro’s wine makers started making dry reds in earnest. Recognizing the commercial benefits of making wine from younger vines whose grapes lacked the old-vine intensity required for fine Port but still perfectly competent for table reds, the Port house Ramos Pinto rolled out its dry Duas Quintas in 1990. I’ve been drinking it now and then ever since. 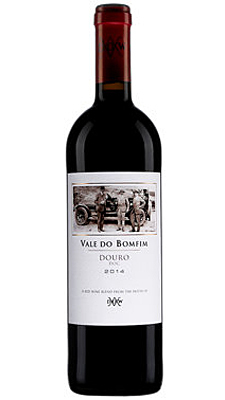 Today’s other featured Douro red, the 2014 “Vale do Bomfim” from the Symington family’s Dow Port house, is a good one too, not quite as ready to drink as the Duas Quintas at this point, but worth buying and setting aside for a year or two, or serving now after decanting and breathing time. Shop a fantastic selection of smart wine accessories and glassware from aerators and dispensers to wine racks and decanters. At The Wine Kit, we are passionate about all things vino. Our number one goal is to bring you only the best and most outstanding wine related products. From gifts to wine lovers and unique wine glasses to our travel wine kit selections, we know you’ll find something spectacular from our business. The Wine Kit has a stunning collection of wine racks and coolers for a huge range of wine bottle capacity. Any serious wine collector knows the importance of quality wine storage, and will relish our beautiful and efficient wine cellar solutions. Furthermore, we offer unique wine glasses that you won’t find in the store and travel wine kit selections that are perfect for a picnic. If you are searching for great gifts for wine lovers, you came to the right place! The Wine Kit specializes in gifts for any occasion. If you have any questions, feel free to give us a call and let us help you find the items you’re looking for at (844) 311-6045. FOOD MATCH: The winery suggests pairings with meat, pasta or Asian fusion cuisine. We were pleased with its affinity for a pasta cousin, bulgur wheat pilaf with tomatoes, basil and garlic. WHEN TO DRINK: The winery calls it ready to drink but suggests that it will continue to improve in the bottle. I wouldn’t worry about cellaring it for five or even 10 years, assuming good cellar conditions. On the wine rack at room temperature, drink it up over the next year or two. Wine-Searcher.com’s $15 average retail is consistent with my local price, a fine value. If you’re lured by a bargain, though, you can find some vendors offering it for less than $10 on Wine-Searcher. The back-label QR code points to this detailed fact sheet from Ramos Pinto. 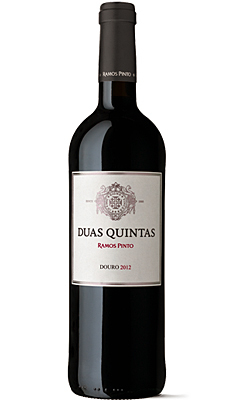 Check prices and find vendors for Ramos Pinto “Duas Quintas” Douro on Wine-Searcher.com. Click this link to find lots more Douro reds and vendors under $10 on Wine-Searcher.com. FOOD MATCH: Red meat would serve it fine; we enjoyed it with fennel-scented Italian sausages sauteed with green peppers and onions, and later with rich, buttery cheese. WHEN TO DRINK: It’s okay now, best with a little breathing time in the glass; but the sharp acidity and strong tannins suggest that it would benefit from a few years in a temperature-contolled cellar. Wine-Searcher.com’s $12 average retail beats my local price by $3. I’ll take it anywhere below the upper teens, but again, with scattered vendors offering it for less than $10, it’s worth checking Wine-Searcher and shopping around. There’s plenty of info about Dow’s Ports online, but it’s harder to track down fact sheets on the Douro Reds. Here’s an overview from Vins Philippe Dandurand, a Canadian distributor. Check prices and locate vendors for Dow’s “Vale Do Bomfim” Duoro on Wine-Searcher.com. Want to find more Douro reds under $10? Check this link on Wine-Searcher.com.